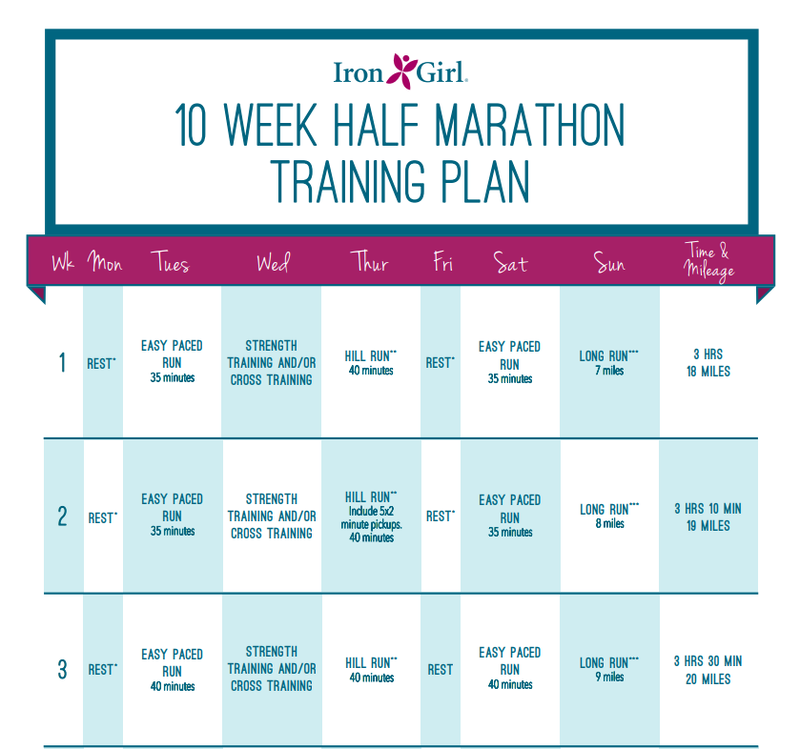 Click here to download a printable PDF file training guide to start training for the Iron Girl Clearwater Half Marathon with this easy-to-follow training guide. The program was created in collaboration with Women For Tri and IRONMAN Certified Coach Moira Horan. Moira has participated in countless marathons, IRONMAN®, IRONMAN® 70.3® and other triathlons since 1993. Her focus over the past several years has been on sharing her experiences and training others as an IRONMAN and USAT Certified Triathlon Coach and a Level 2 Total Immersion swim instructor and coach. She founded StayStrong Multisport Coaching in 2009, Jersey Girls StayStrong Multisport Club in 2011 and co-founded the Jersey Girl Triathlon in 2010.